With 16,000 deliveries to customers in January 2015, Porsche AG lives up to its success of the past year. The Stuttgart-based sports car manufacturer achieved an increase of 31 per cent in comparison to the same month of the previous year. Especially the 911 is in high demand by customers: more than 2,400 customers were delighted by the delivery of their sports car icon in January. "After a successful 2014, we want to continue to carry forward our goal of qualitative growth this year", said Bernhard Maier, Member of the Executive Board for Sales and Marketing of Dr. Ing. h.c. F. Porsche AG. "Our next step will be an expansion of the model line-up with the sportiest Targa ever ­– the 911 Targa 4 GTS – and the thoroughbred mid-engine sports car Cayman GT4." 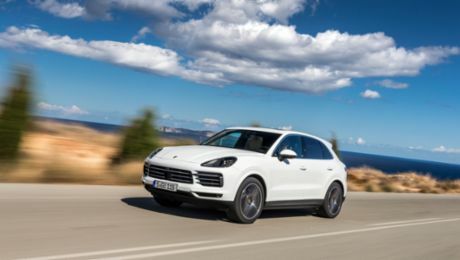 In the home market of Germany, Porsche realised a gain of 39 per cent compared to the same month last year with more than 2,000 new car deliveries. In Europe, the sports car maker delivered more than 4,500 vehicles to customers. 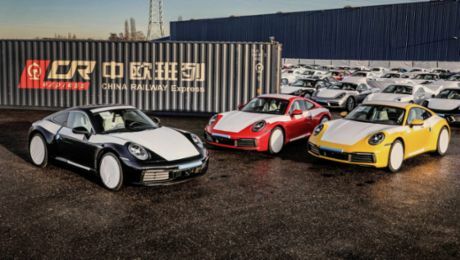 In the Chinese market, Porsche realised in the reporting month of January an increase of 23 per cent with almost 5,000 deliveries. Also the U.S. market gained in growth at the beginning of the new year: with about 4,000 new cars sold, the sports car manufacturer recorded an increase of 27 per cent in January 2015 compared to the figures of January 2014. The most popular model ranges for the Americans are the 911 and the Cayenne. Porsche has handed over more than 14,800 new cars in February 2015.